Karine George is an award-winning educationalist, with a passion for re-imagining the future. She was a headteacher for more than 20 years in a large junior school rated as outstanding by Ofsted. 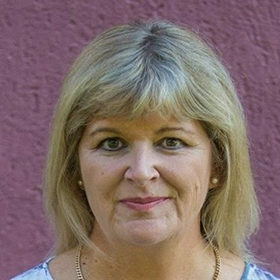 She is an active research practitioner, and an ardent advocate of the use of technology to support 21st century learning and was selected to work on the Government task force for Home Access As an international keynote speaker she has written articles on a range of educational issues and is a contributing author to ‘Sustainable School Transformation (Bloomsbury, 2013).